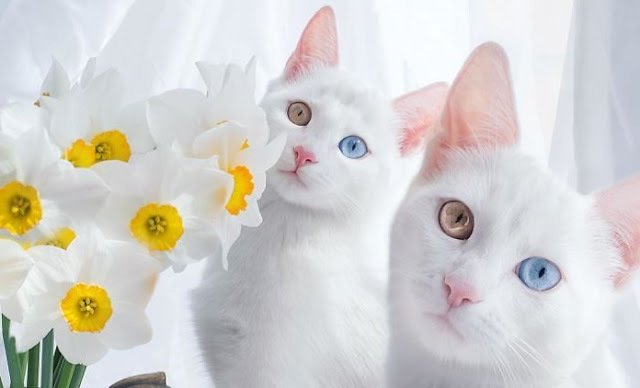 Some people and animals can brag about being magical because of their eyes. 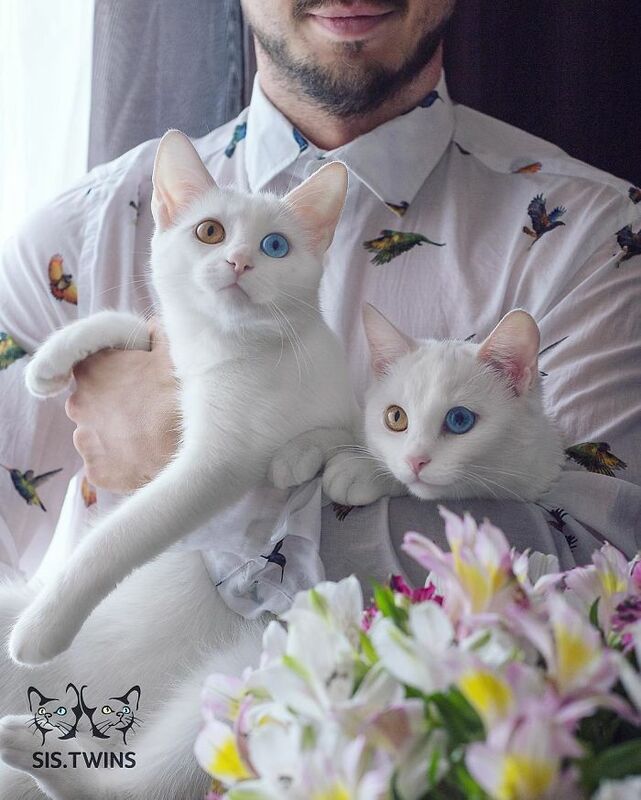 Having heterochromatic eyes means that eyes are of different colour. 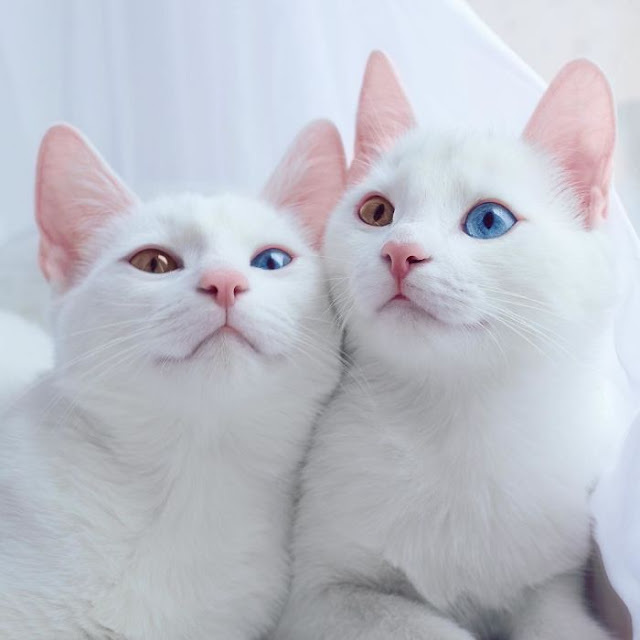 For example, one might be green or brown and the other blue, or there might be a few colours in one eye. 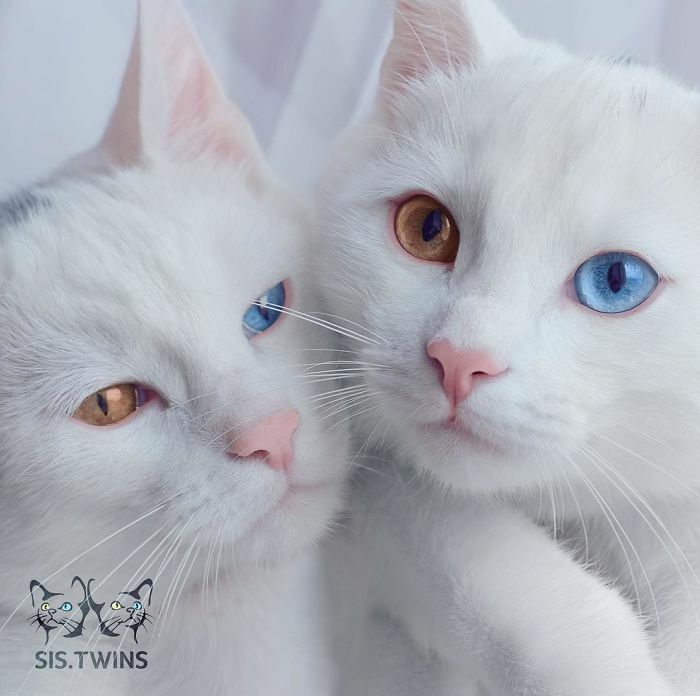 Meet the most beautiful twin cats in the world. These inseparable cats, Iriss and Abyss, both have beautiful heterochromatic eyes. 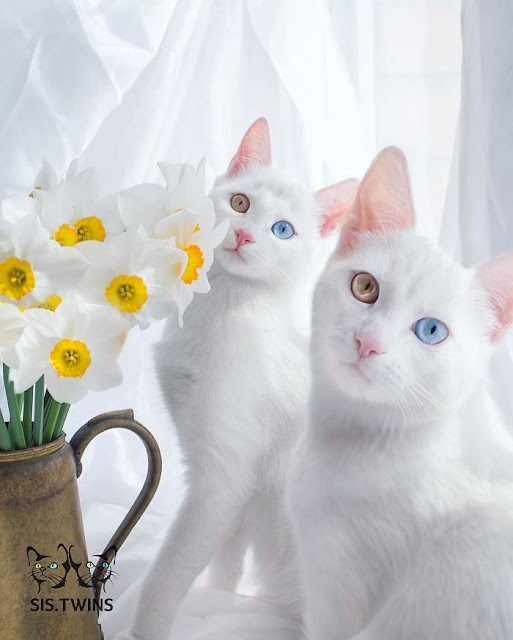 The Van cat is a distinctive landrace of domestic cat, found in the Lake Van region of eastern Turkey. 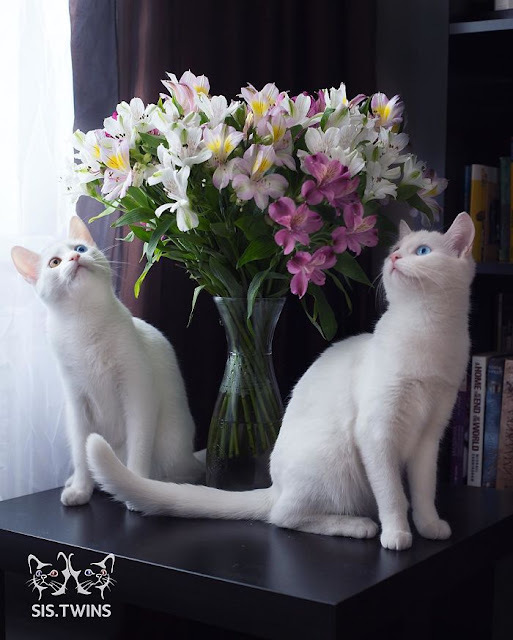 It is relatively large, has a chalky white coat, sometimes with ruddy coloration on the head and hindquarters, and has blue or amber eyes or is odd-eyed (having one eye of each colour). The variety has been referred to as "the swimming cat", and observed to swim in Lake Van. 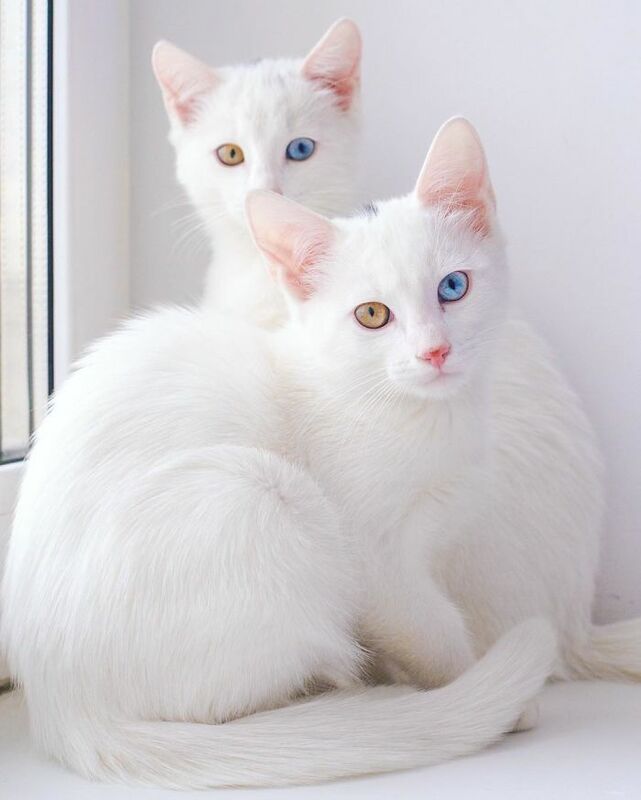 The naturally occurring Van cat type is popularly believed to be the basis of the Turkish Van breed, as standardised and recognised by many cat fancier organizations; it has been internationally selectively bred to consistently produce the ruddy head-and-tail colouring pattern on the white coat. The Van cat has been reported living in the vicinity of the city of Van and the general Lake Van area for centuries; how long is uncertain. 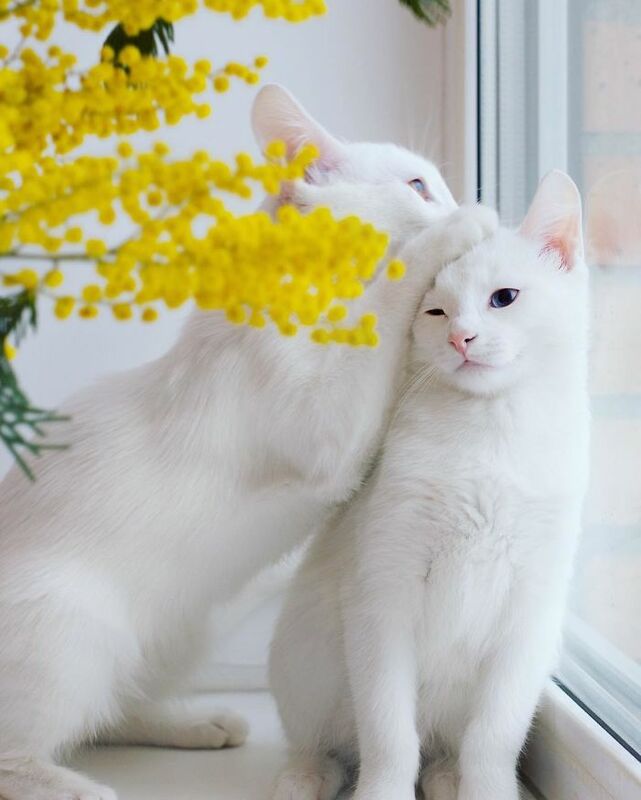 Genetic research has shown that the domestic cat's ancestor, the African wild cat (Felis silvestris lybica), was domesticated, for rodent control, about 10,000 years ago in the Near East when tribes transitioned from hunter-gathering to crop farming and settled life. Responses to "Meet The Most Beautiful Twin Cats In The World"
Absolutely beautiful....picture perfect and adorable. 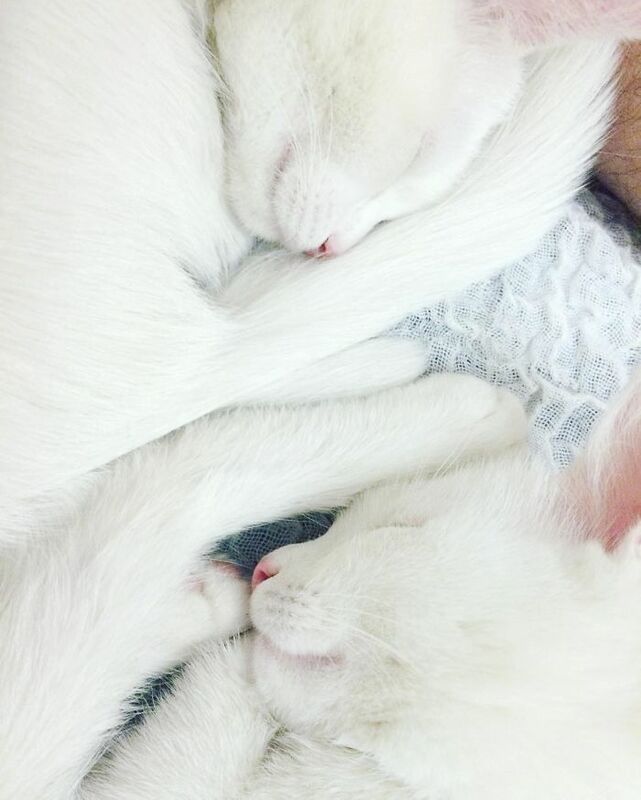 Double the fun and double the trouble. 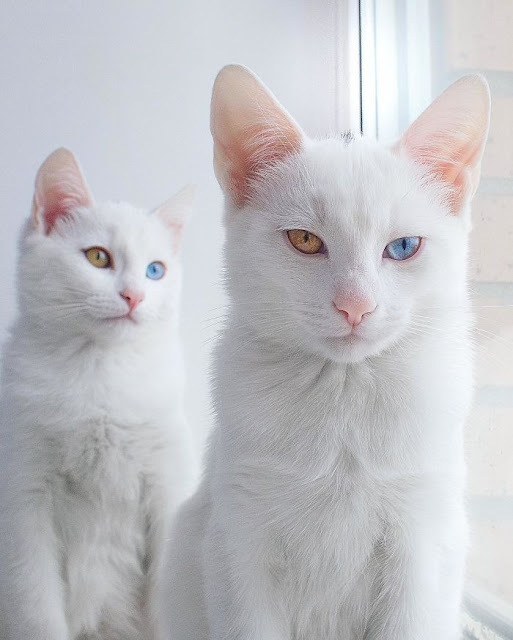 I had a male cat with eyes like this and he was all white too but he was deaf. I was told but the vet that this was a common trait with white cats that have two different colored eyes.